Do you have the right horse for your next Advertising campaign? Chances are, you’re reading this because you know your brand could benefit from some fresh ideas from a creative marketing agency. Whether it’s tired copy, weak graphics or a lack of imagination, you know something’s missing. It’s all part of what we call strategic digital marketing. When done correctly, it unites your brand positioning, messaging, and design into a strong thematic concept that can be used across media. That’s what we do. We unleash your brand’s inner genius, balancing the right combination of imagination, design, and copywriting so that your digital marketing and advertising get maximum results. Tom is great! From our first meeting he was professional, responsive, and had great ideas. His methodical approach to marketing includes a full understanding of the broader universe his clients operate in. Your Customers Frequent New Digital Channels. New ad technology platforms, types of ads, methods of tracking and dynamic ad content provide endless opportunities for marketers and advertisers to engage in a cross- channel way. Digital Advertising captures customers’ attention across channels and devices. Digital Advertising Enables More Specific Targeting. Forget readership studies and other soft metrics. With Digital Advertising you can target the exact audience most likely to purchase your product or service. More Customer Intent Data Further Enables Personalization. Finally, you can leverage customer profiles and actions across channels and gain a seamless view of your customer. Personalize your ads based on behaviors, buying cycle stages, levels of engagement, and more. Pay-per-click (PPC) search ads appear as a “sponsored result” on the top of your search engine results. You bid and pay for each received click. Keyword-driven ads create highly targeted results and are a great supplement to organic search marketing, especially for difficult keywords. Display ads are visual advertisements (used to be limited to banner ads) that can be placed on a variety of online media in a wide choice of sizes and formats. 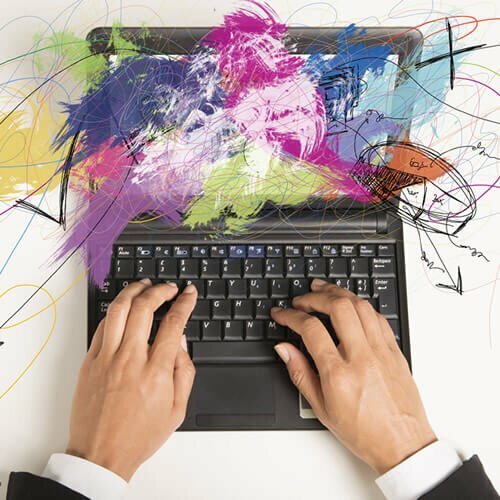 Whether you’re advertising on a network of websites or through retargeting, these ads use creativity to create awareness, reinforce branding, and drive qualified traffic. Social media ads — text and display — align your brand with customers who spend more time on their phones than their computers scanning their favorite social media channels. Targeting is getting better and better through social media, so you have a great chance of delivering creative, engaging ads to target personae. The real marketing battles take place in your prospects’ minds. And you can become top of mind if, and only if, you use creative advertising ideas to catapult your brand past your competitors and into your prospects’ heads first. And the key to speeding your message into your audience’s head, right past an early entry competitor, before anyone else is…you guessed it…creativity. That’s our natural state. Our talented team of copywriters and graphic designers can create creative advertising ideas, themes, headlines, designs and artwork that capture attention, entertain, and delight. Not everyone is born a writer. When your product managers are dealing with so many issues, they don’t have time to synthesize product benefits and write clear, focused product information. That’s the time to call in HiveMind. By respecting the opinions, attitudes, and beliefs of potential customers, we can take the most complicated information and translate it into the language of benefits, the language of selling, until we have something that prospects will actually read. 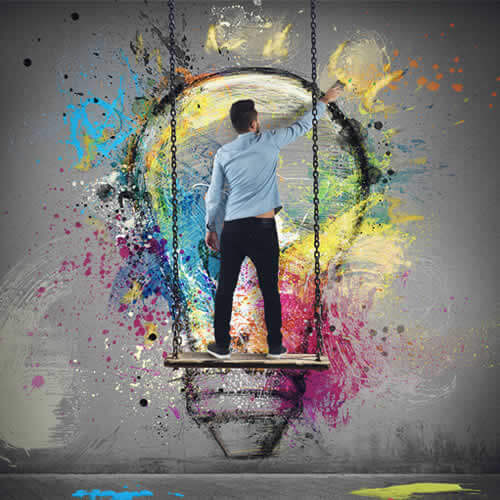 By improving your marketing copy, design, and advertising strategies, we’d like to show you the value your creative advertising ideas can carry. Our creative advertising ideas are so unexpected, people notice them. So dramatic, people shift perceptions. So persuasive, people take action because of them. 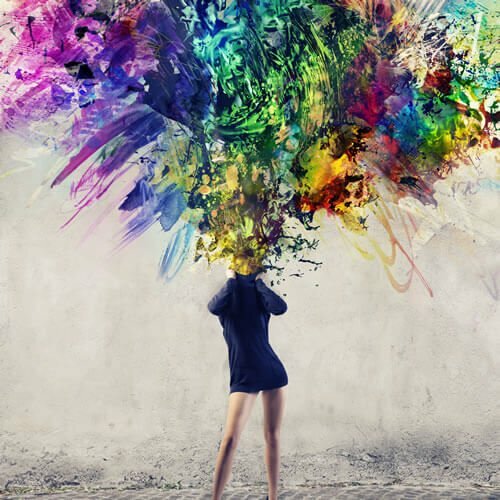 Just imagine how a fresh creative concept might significantly help your website, social media profiles, digital display ads, ebooks, infographics, emails, and landing pages. Hivemind Studios comes up with a unique plan for creative advertising for each client. Professional designed websites increase engagement. When combined with a content and optimization strategy, your website plays a major role in your business success. “To really stand out in a crowd, advertising ideas must originate out of the box, showing you something that makes you laugh, talk about, or look twice. HiveMind Studios creative marketing agency develops strong creative ideas and campaign concepts that break through the noise and produce measurable results. Join our list of satisfied clients across the country by finding out more about our fresh branding and advertising solutions. Contact California-based HiveMind Studios to learn more about whether advertising is right for your company. Call (408) 266-3162 today!